ChristineCreations: An Easter Release at The Cat’s Pajamas! 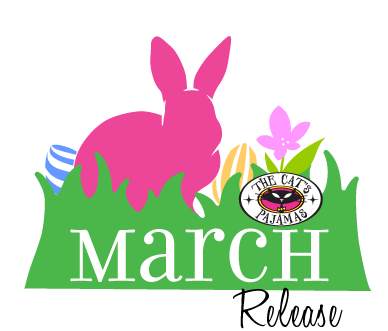 An Easter Release at The Cat’s Pajamas! 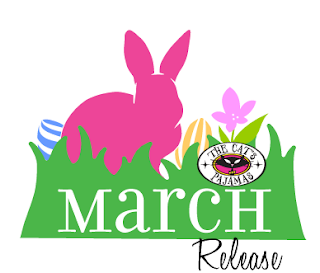 Welcome to our happy March surprise at The Cat’s Pajamas! We’ve got some wonderful goodies - made just for Easter, and we couldn’t wait to show them to you! 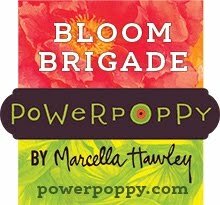 I’ll have sneak peeks of these new items today and tomorrow, but you can purchase them in store HERE. I’ll start off with the very sweet new set called Happy Easter. 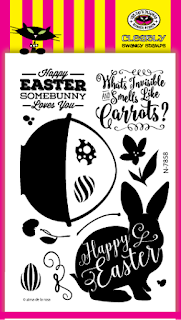 It contains a great big adorable bunny with a Happy Easter greeting embedded inside. 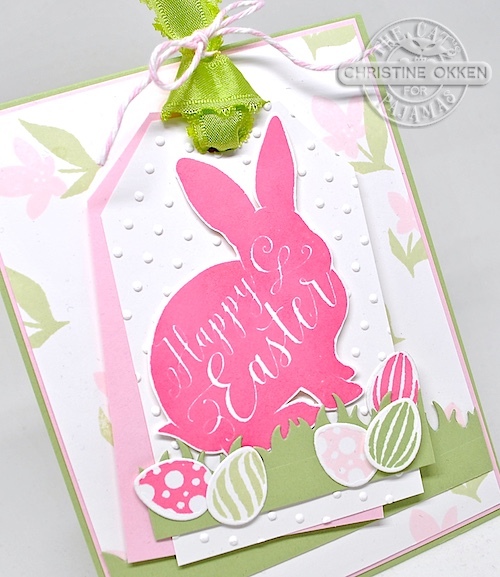 I stamped it using my Mini Misti, and some inks from Altenew (Coral Berry). This way I could stamp my bunny twice to get really good coverage with the ink and polymer, and you get perfect placement. A Misti is so perfect for this type of image. After he was stamped I trimmed him out with a wee little border. 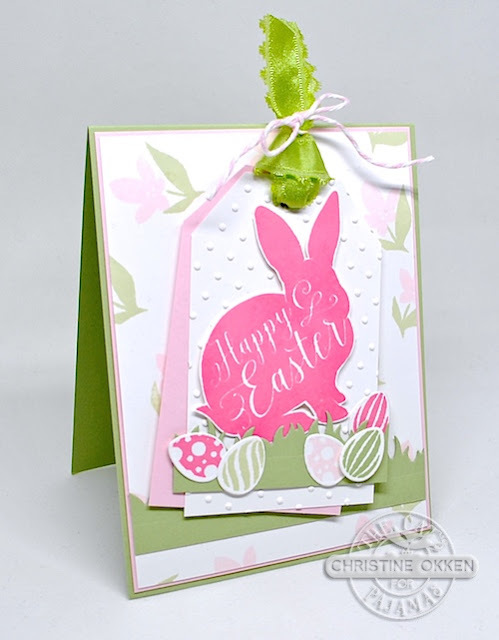 Next I used one of our already released dies from TCP, Eggs in a Basket CutUps, because the little eggs from that set are especially designed for the stamped eggs in this set! So I have some sweet little eggs for my bunny. 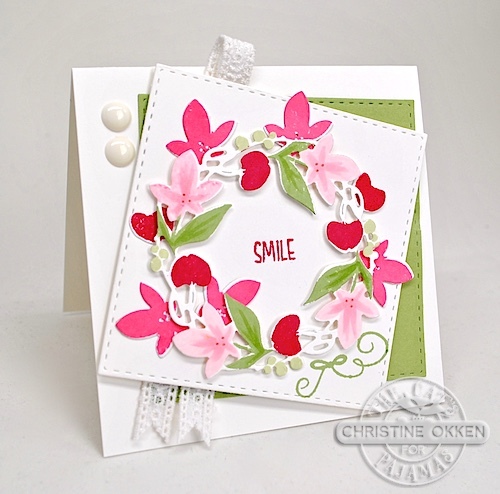 You can see on the background layer, I stamped some really pretty flowers from the set in soft pinks and greens and created my own patterned paper. I cut out a little layered tag from card stock, added some green grass with the TCP CutUps die, Grass. It’s all finished off with some pretty scalloped green ribbon and some pink baker’s twine. So sweet and springy! 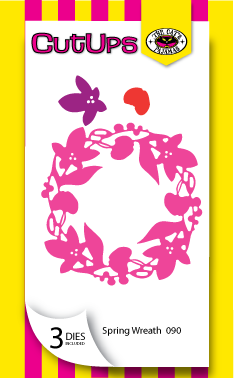 Alma gave us a gorgeous new Spring Wreath, to play with in this release that is so sweet! It’s really delicate feeling and so classy! So here I’ve made a little 4 x 4 card. I started by die cutting the main wreath and some extra flowers and apples (or cherries depending on how you see them). Next, I added colour to the wreath by stamping with elements from the set, and then, for some of the items, adding a little definition with some markers. I layered all the pieces together tucking in extra apples and flowers. Then its all finished off with some white eyelet ribbon and enamel dots. Here’s a peek at the items I introduced today. Tomorrow I’ll show you a few more new things! Hope to see you back here then! Christine, I adore both of these. The color palette is so fresh and springlike and your layouts are always spot on. They're both so pretty, Christine, but I love the bunny especially. So sweet! Love the scripty sentiment built right in. Cute set!